I don’t particularly enjoy potato chips. The serving size is tiny, they leave nasty grease residue on my fingers, and perhaps worst of all they can somehow still manage to be extremely addictive (but aren’t a lot of unhealthy foods?). With all those added oils as well as the fat and salt content to worry about, I just try my best to avoid chips altogether. These days, however, air-popped crisps have been receiving more attention and it seems that the Kashi company has jumped on that bandwagon with a line of all-natural hummus crisps made from chickpeas and its signature seven grains. While I don’t love chips, I do love hummus, so when my sister-in-law offered to send me a free bag of crisps to review for Kashi I agreed to give them a try. First things first: if you don’t like hummus, not to worry. The crisps taste nothing like it, and as far as I could gather the only correlation between the two is the fact they’re both made with chickpeas. The bag I received was of the sea salt & olive oil variety. I have a pretty strong sense of taste, so almost immediately I could detect the other seasonings used in the crisps (the medley of grains, as well as hints of onion and parsley), but overall I felt they were a bit bland. Still, I was pleased that the crisps didn’t leave an oily residue on my fingers like regular potato chips, and I was also happy to see the serving size on these babies: whereas a serving of most potato chips is about 15 chips for 150 calories, Kashi’s hummus crisps offer almost twice that amount (27 crisps) for slightly less calories (120 calories). This is probably because they’re air-popped, unlike your typical bag of Lay’s. Considering I am not the chip expert in the house, I decided to throw an impromptu crisp party and sought out my sister and my mother for their thoughts. My sister deemed that “They aren’t necessarily tasty, but they’re addictive” which, upon clarification, means that they’re light and airy, but it still feels like you’re eating something with substance to them. She agreed that they seem pretty bland at first bite, which kind of reminded me of the plain cake donuts that I made a while back (while okay on their own, the flavor really shined when there was a topping added). What I mean to say is that Kashi’s hummus crisps have a subtle enough flavor that I think they’d go well with a variety of dips. My mom reiterated my sister’s thoughts, saying that while the crisps seem bland at first the flavor and the crunchiness both grow on you. After tasting several, however, she decided that she actually liked the crisps on their own and that I needed to take the bag away from her before she polished it off. As a final note, something both my mom and I noticed printed on the bag right away was that there’s no high fructose corn syrup in the crisps. My dad is allergic to corn and any of its derivatives (maltodextrin, dextrose, etc.) 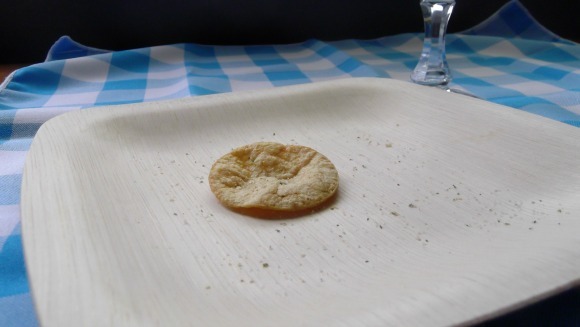 so it can be very challenging to find food – especially chips – he can eat. Unfortunately, the hummus chips were not completely corn-free as closer inspection of the ingredients list revealed that cornstarch is one of the ingredients, but this isn’t a big deal for most people so I continued scanning the rest of the list (which was admittedly longer than I usually like, with over twenty ingredients). I was a little disappointed to see that nonfat dry milk was also used as an ingredient, because one of my brothers – the one who is probably most fond of chips and crisps – is allergic to dairy. Overall, though, if you don’t have to worry about certain allergies (wheat, soy, and milk in particular) my family would recommend giving Kashi’s hummus crisps a try. They’re a fun little snack that’s a healthier alternative for people who typically enjoy potato chips. 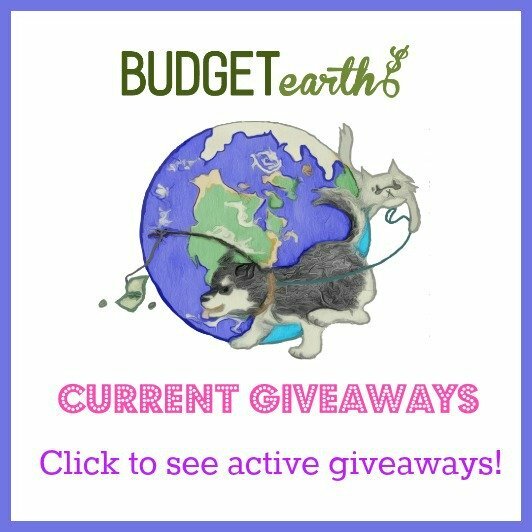 Disclosure: Budget Earth did not receive compensation for this review but did receive free product from BzzAgent for review purposes. All opinions on this product are my own and may differ from our readers' opinions. We love Kashi products. These chips like they would be a great light snack. They don't look greasy and I love that they don't contain high fructose corn syrup. I buy the Kashi cereals but I do not recall seeing these chips in the store. I will be looking more carefully for them because I love to crunch and they would be a healthy snack. I really enjoy kashi products. I like that its healthy for you. 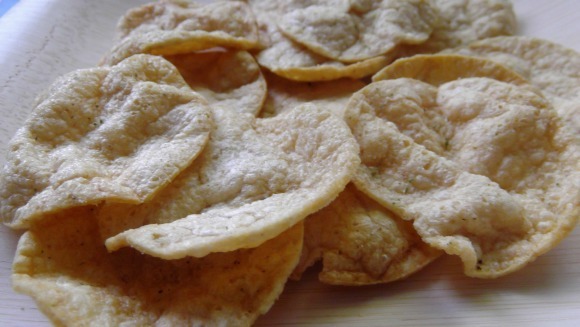 Now a days a lot of chips out are really bad for you because of the high fat and high cholesterol ingredients that they contain but kashi is a refreshing chance. I like to add the hummus crisps as snacks through out my work day. My family loves these hummus chips… we dont eat them plain though, we dip them in hummus! I love hummus. I need to pick up a bag of these next shopping trip. And some hummus to go with. I don't think I have tried this recipe before, but I will look for them the next time we are at the store. Sounds like a good one. Thank you for sharing! I love a heathly snack, and kashi products. These look very good, I will have to pick a bag up. Thanks for sharing. 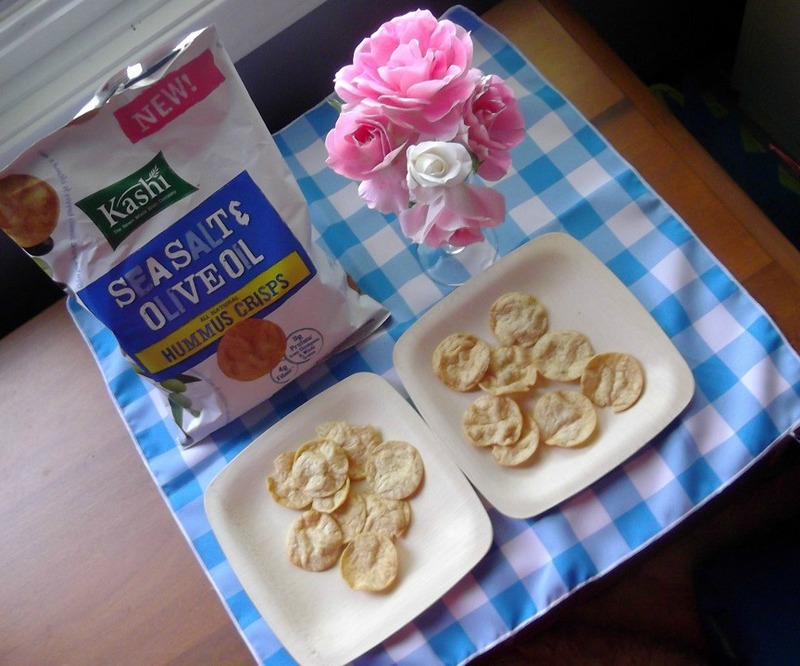 I love Kashi Products and the Crisp's are a healthy Snack option, and I agree with your review, they are a little Bland at first, but I couldn't eat just one.